Rabbi Moshe Danishevsky was the Chief Rabbi of Slabodka, and the author of Sheilos Utshuvos Beâ€™er Moshe, which was published in Vilna in 1905. Rabbi Moshe Danishevsky was born in the city of Minsk to his father Rabbi Avrohom, a formidable Torah scholar and a rosh yeshiva in Minsk. Rabbi Moshe studied under several great scholars in Minsk who were students of the Volozhin Yeshiva and Rabbi Chaim of Volozhin. Rabbi Moshe Danishevsky married Baila Etta, the daughter of Rabbi Zev Wolf Wishnevsky of Smargon. His father-in-law provided all their needs for ten years to enable Rabbi Moshe to devote himself to his studies in Smargon. Rabbi Moshe Danishevsky also lived in Eishyshok for several years and was the head of its yeshiva. It was there in 1856 that the young Meir Simcha Hacohen came to Eishyshok to study at the yeshiva under his tutelage. Rabbi Meir Simcha later became the famed Rabbi of Dvinsk and author of the acclaimed Ohr Sameach. Rabbi Moshe Danishevsky refused to acknowledge the new revolution that Rabbi Yisroel Salanter was making throughout Lithuania with the study of Mussar. 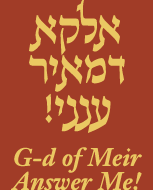 Rabbi Meir Simcha, under the influence of his Rosh Yeshiva Rabbi Moshe, remained aloof to the Mussar movement throughout his entire lifetime, in spite of the fact that the movement had spread like wildfire all across Europe. Rabbi Moshe Danishevsky became the Rabbi of the city of Svir for twenty five years. He was then summoned to serve as the Chief Rabbi of Baltrumantz for seven years. In 1892 he became the Chief Rabbi of Slabodka near Kovno. Rabbi Yitzchak Elchanan Spector, the Chief Rabbi of Kovno, had established a yeshiva in Kovno. Rabbi Moshe Danishevsky would offer Talmudic lectures to the students. When Rabbi Yitzchak Elchanan passed away in 1897, his son Rabbi Tzvi Hirsch assumed the Chief Rabbinate position vacated by his illustrious father. Rabbi Tzvi Hirsch renamed the yeshiva Knesses Beis Yitzchok in his fatherâ€™s memory. Rabbi Moshe Danishevsky continued to offer lectures there and assisted Rav Tzvi Hirsch in the administration of the yeshiva. Rabbi Chaim Rabinowitz of Shad (who later became the Rosh Yeshiva of Telz and is known as Rabbi Chaim Telzer) was chosen as the first Rosh Yeshiva. Several years later in 1904, Rabbi Boruch Ber Leibowitz, the author of Birchas Shmuel, and prime student of Rabbi Chaim Soloveichik of Brisk, was brought to Kovno as the Rosh Yeshiva. Rabbi Moshe Danishevsky maintained a close relationship with many Jewish leaders who were graduates of the Volozhin yeshiva. He was especially fond of Rabbi Shmuel Salant, the Chief Rabbi of Jerusalem who was also an alumnus of Volozhin. Rabbi Danishevsky greatly assisted Rabbi Salant in the maintenance of the Rabbi Meir Baal Haneis Salant charity fund and exerted great effort in the gathering of charity funds from Lithuania and forwarding them to Rabbi Salant in Jerusalem. He also wrote a very strong public letter to European Jews regarding the urgency of supporting Rabbi Meir Baal Haneis Salant.